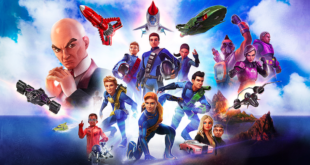 ITV Studios Global Entertainment's EVP of kids' content and distribution, Steve Green talks to Licensing.biz about the global reach of the Thunderbirds Are Go brand. Can you tell us about the global reach of ITV and the Thunderbirds Are Go brand, where are your key markets for the brand? ITV Studios Global Entertainment (ITVS GE) is one of world’s leading international TV distribution and consumer products businesses. Our consumer products division brings together home entertainment, promotions, licensing and publishing under one umbrella. Our team is part of ITV PLC and has offices in London, Hong Kong, Los Angeles and Sydney. For the Thunderbirds Are Go brand, key markets include the UK and Eire, Australia, New Zealand and Japan, where there is a long-standing affection for the brand. We’re also preparing for the show’s debut in the Middle East, Israel, Europe, Brazil and Canada during 2015 and 2016. We’re committed to introducing new audiences to Thunderbirds Are Go around the world. As such, we’re working with top class partners and agents. We’ll be announcing a number of exciting new international partners shortly which will allow us accelerate the brand’s international footprint. What has global response been like to the launch of Thunderbirds Are Go? We’ve had a spectacular year since the launch of Thunderbirds Are Go with the international response surpassing all our expectations. The new series continues to achieve really strong ratings in Australia and in New Zealand since it first debuted on Nine Network’s GO! and TVNZ’s TV2 channel in April. The premiere episode outperformed the slot averages in both countries. How have you seen the business grow since the launch of the Thunderbirds Are Go brand? There’s been a considerable amount of build-up and planning for Thunderbirds Are Go over the past few years and now it’s fantastic to see the results of our hard work. Since the show’s launch, our business has grown considerably with best in class partners in the UK and overseas. For example, we have Vivid as the master toy partner in Europe and Australia/New Zealand and Takara Tomy in Japan. We have also signed a number of global names such as Hachette, Simon and Schuster and Meccano who are bringing a range of product to the market, which showcases the brand at its best. The industry has also seen great developments in technology and manufacturing which has resulted in products becoming more innovative and interactive. As technology is such a core theme to Thunderbirds Are Go, these developments have enabled us to work with partners and produce some fantastic product lines that are fresh and engaging. For example, Vivid’s new Tracy Island play set preserves all the iconic elements of the phenomenally successfully original toy but has been updated with new technology and components to appeal to fans in the 21st century. What has Thunderbirds Are Go done for you on the international playing field? At ITVS GE, Thunderbirds Are Go has enabled us to establish our position as a truly international player and distributor of premium kids’ content. This is the first wholly owned new kids’ property we’ve had in a number of years and it’s thrilling to see how it’s already attracting a great deal of interest internationally and we are committed to realising its potential to become a huge global franchise over the next 5 years. What makes Thunderbirds Are Go an internationally loved brand? We were in the fortunate position of having a wide international fan base for the brand already in place and Thunderbirds Are Go has given us an exciting opportunity to attract a new generation of kids around the world. The show’s plot lines are engaging and well written; they mix together action, adventure and teamwork and are supported by humour that resonates universally with both young and adult fans. Thunderbirds Are Go is also beautifully made with the fantastic blend of CGI animation with live-action miniatures, resulting in a high quality, visually appealing show that provides a unique offering in the kids’ space. I think it’s also important to recognise that the characters within the show champion selfless heroism, bravery and ingenuity which are qualities relevant to children across the globe. What strategy have you got in place to continue to roll the brand out on an international scale? To continue the brand’s international roll-out, we already have a top-class raft of agents and partners on board who share our passion and long-term vision for the brand. We’re also in talks with a number of exciting new international markets which we’ll be announcing shortly. Along the way, it’s important we’re mindful of local audiences and account for regional differences. To do so, we ensure the show is scheduled for the best time of day for that market and that product lines reflect the themes that will resonate most with that audience. How do the different departments work together to maintain ITV’s international standing, particularly with the Thunderbirds Are Go brand? An exciting era for ITVS GE, cross department cooperation means TV sales, marketing, finance, legal and consumer products collaborate together and with ITV Studios and CITV to ensure seamless franchise development. How important is the digital platform to ITV and Thunderbirds Are Go in particular, how will you engage fans on this platform? Digital content is hugely important for ITVS GE and Thunderbirds Are Go. When it comes to establishing a new brand such as Thunderbirds Are Go, it’s vital to give fans access to engaging content across a variety of media touch-points, allowing them to extend their brand experience beyond the TV show. It’s important to be where your audience is, and this currently extends beyond TV into the digital space. It was therefore essential for us to establish a solid presence for the brand online to engage our target audience. For the launch of the show, we created a fantastic website, Thunderbirds.com, for fans that we used to carefully tease assets and build suspense for the broadcast debut. It’s now an essential part of the franchise development. The site also gives fans the opportunity to become recruits on the International Rescue training programme – take part in missions, earn badges and unlock rewards and they progress through the ranks. It’s a really fantastic way to engage fans between episodes and give them an interactive brand experience. We also unveiled the official YouTube channel which has since notched up over 2.3 million views across its videos. In addition to our own digital channels, we are also working with digital partners to develop products, so watch that space. What’s the next step in ITV’s big plan both on a global scale and for the Thunderbirds Are Go property? 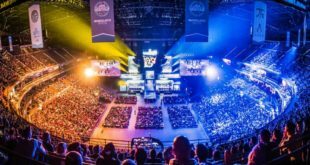 In addition to maintaining our reputation as experts in building evergreen franchises like Thunderbirds, we’re emerging as a major player in third party agency representation with a strong portfolio brands. We’ve got some fantastic new additions to be revealed shortly. We stand out as one of the few licensors that can offer a strong broadcast platform, in addition to content production, consumer products development, brand support and distribution – a fully integrated service for brand owners and licensees alike. For Thunderbirds Are Go, as well as gearing up to launch the broadcast and licensing programmes in new international markets, we intend to continue with our mission to nurture our licensee base and securing the right partners both in the UK and internationally. Next Little Airplane unveils new partnerships to create Domo Rock!